We've been awarded by Sme-news as Best Design Stairs Manufacturer 2018. Thank you for noticing our work and we will do our best to impress you even more next year! We do offer our clients different types of staircases like contemporary staircase designs, custom made and engineered to the specific requirements of the project. 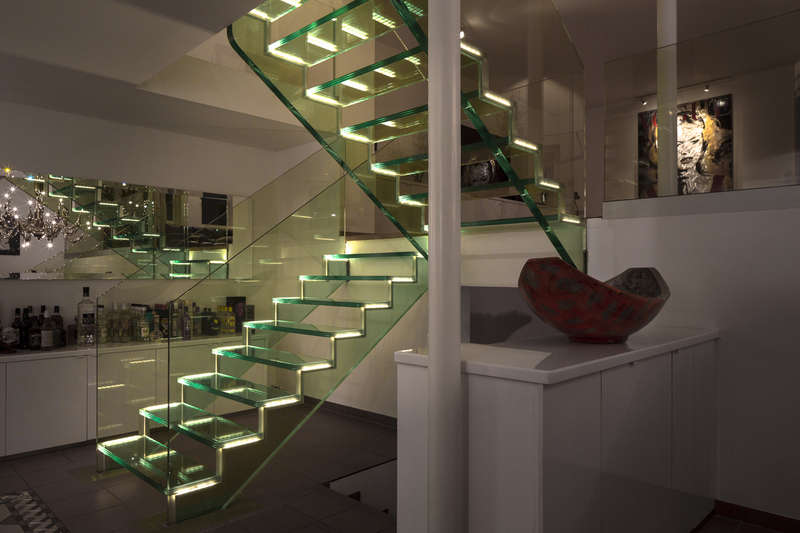 Very exquisite are our glass stairs. Furthermore you find styles from modern stairs to classic stairs, free standing staircases and curved stair solutions. Amongst others we use the materials timber, glass, steel and concrete. We are researching continuously on new materials and connections to make our staircases floating, lighter and more impressive, a piece of art and charming for its environment. Here we give you a short review about our history: 1958 Founding of Siller in Merano, Italy: in the summer we dedicated ourselves to the handiwork of the carpenter, and in the winter to stair building. Since 1990 we have dedicated ourselves exclusively to stair building and see the staircase as a representative piece of furniture that gives your building real soul Since 2000 we have been marketing our stairs internationally and supply customers around the globe.